You Are Special – dinner, but no plate…. 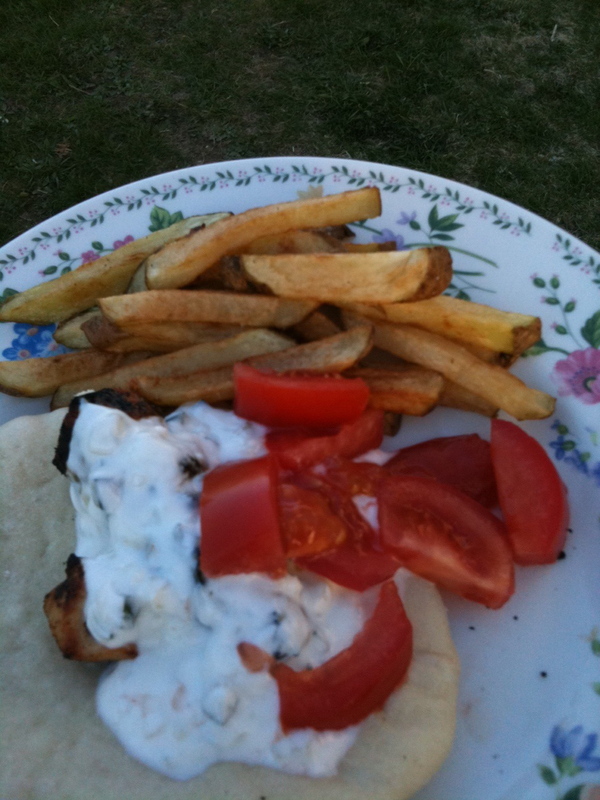 One of my favorite dinners to make for Drake is my variation of Souvlaki. He loves this meal and so do I. There’s a fabulous little Greek restaurant near St.Anthony Main, were I used to work, in Minneapolis. Garden’s of Selonica is a family run, authentic Greek cafe which makes indescribably amazing food. My employer was this lovely & gracious woman of French descent who took me under her wings and treated me more like a daughter than an employee. She knew I loved Souvlaki and Cafe Mochas, and would take me to that special little cafe just on a whim. Afterward, inevitably she would by me a some beauties such a parrot tulips or brilliant purples iris from Fiori’s to grace my desk – I was indeed spoiled-rotten! 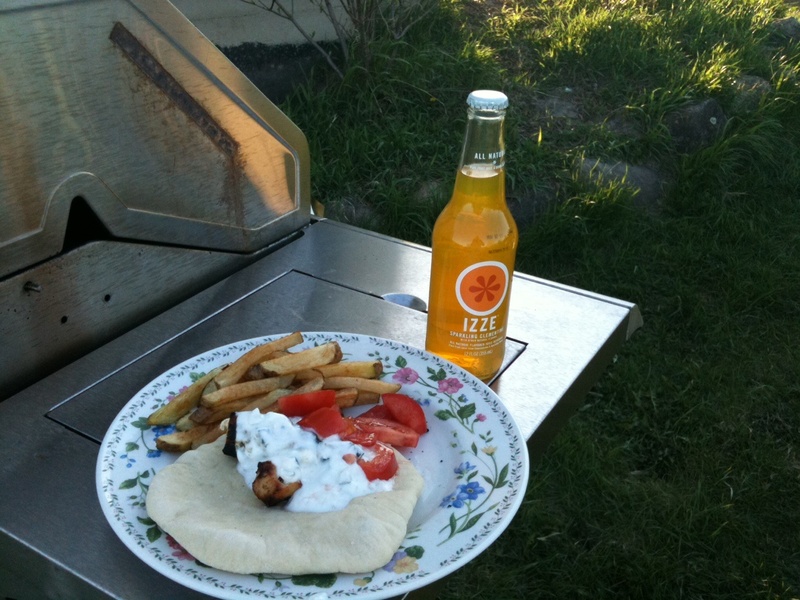 So, to spoil my son, I try to replicate that delicious meal consisting of fresh pita, tsaziki sauce with real yogurt & chunky cucumber bits, marinated and grilled chicken, tomatoes, and hand-cut french fries. I’ve the added benefit of having a brother-in-law who is Greek who shared his family’s tsaziki recipe with me years ago. 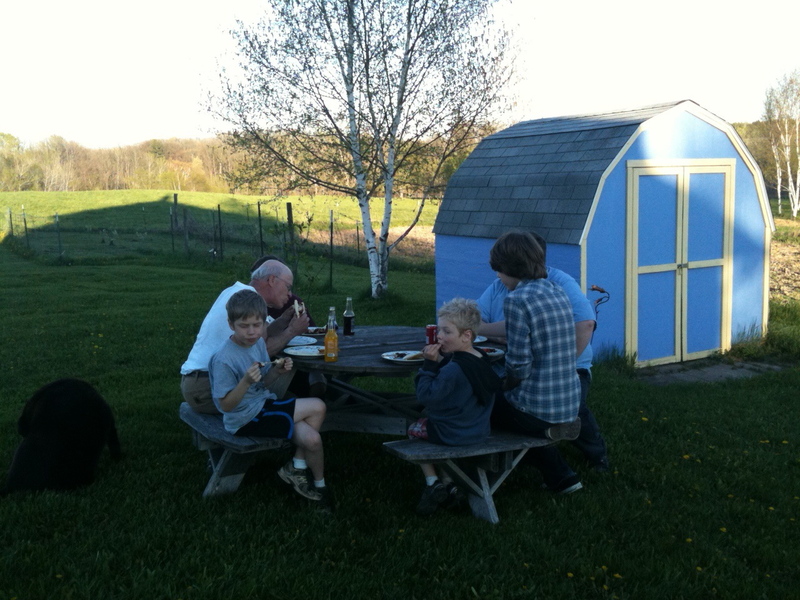 We dined alfresco that evening at Ravencroft Farm, my parent’s organic wonderland established in 1999. 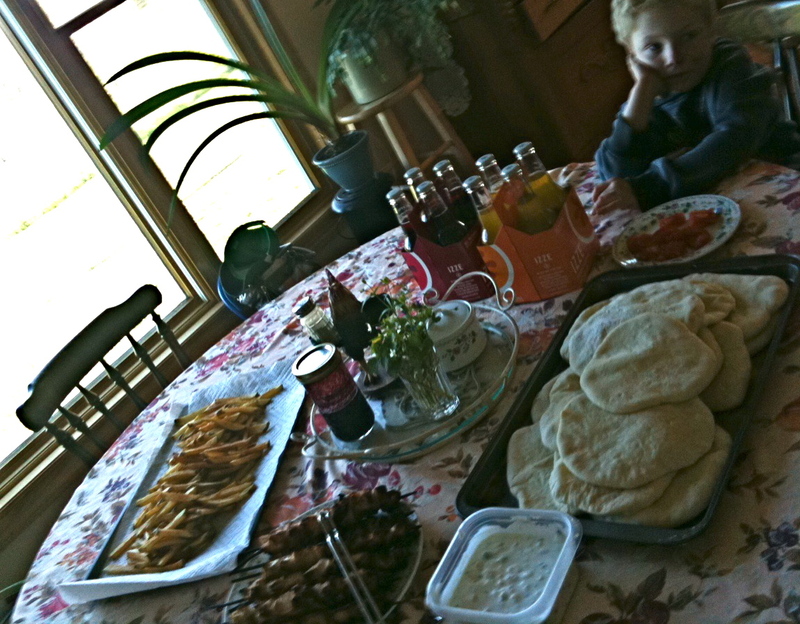 The weather was just perfect and the food was dreamy. Oh, my! I’m craving Garden’s of Selonica!! No cake & candle pictures, but the Mother’s Day Chocolate Roulade with chocolate mousse did make an encore appearance:) Happy Birthday to my crazy-wonderful son! !